Thousands of employees at top companies across the globe are sharing sensitive company information with third-party apps. Research commissioned by IBM found that one in every three employees uploads and shares corporate data with third-party cloud apps without the knowledge of their employer despite the fact that 60% know it's against the rules. That figure is expected to jump because 50% of 'millennials' already share work data outside cloud apps and that 'millennial' demographic will make up 50% of the global workforce by 2020 thus providing a boost to the earlier numbers. 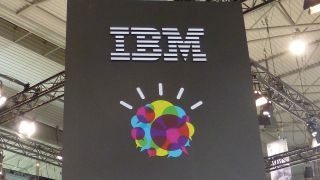 To try to combat this, IBM has unveiled its Cloud Security Enforcer that combines cloud identity management (Identify-as-a-Service) with the ability for firms to find out the external apps their employees are accessing including those on mobile devices. By scanning the corporate network in question, the Cloud Security Enforcer can then provide a more secure way to access and use apps to ensure that firms don't fall victim to security flaws that may arise from employees accessing external apps. In addition, the service uses IBM X-Force's deep threat analytics to carry out extensive security checks on the safety and integrity of apps being used by employees thus adding another layer of protection. By tying in with IBM's X-Force, it can use intelligence on malicious activity from around the world collected by the X-Force Exchange to provide a well-rounded solution that helps companies ensure the safety of themselves and their employees at all times. Can multinationals trust the cloud with precious corporate data?